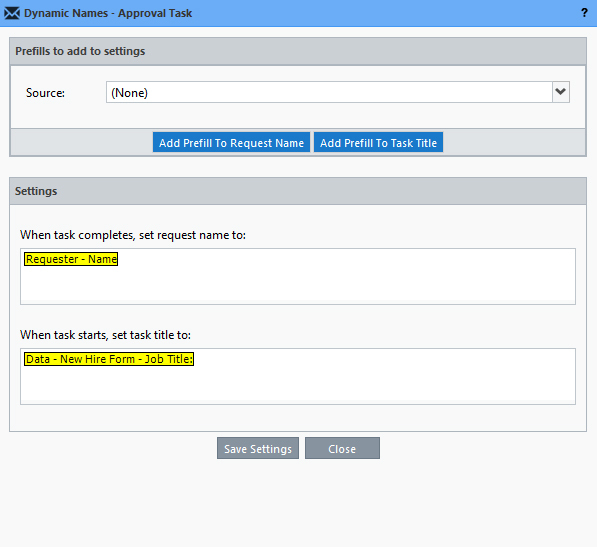 rename the request's 'Name' when the task completes to any source information in the process. 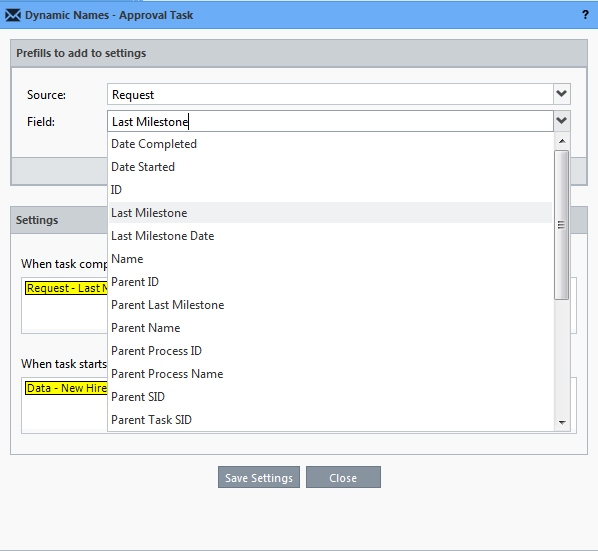 and/or rename the task's name when the task is started. 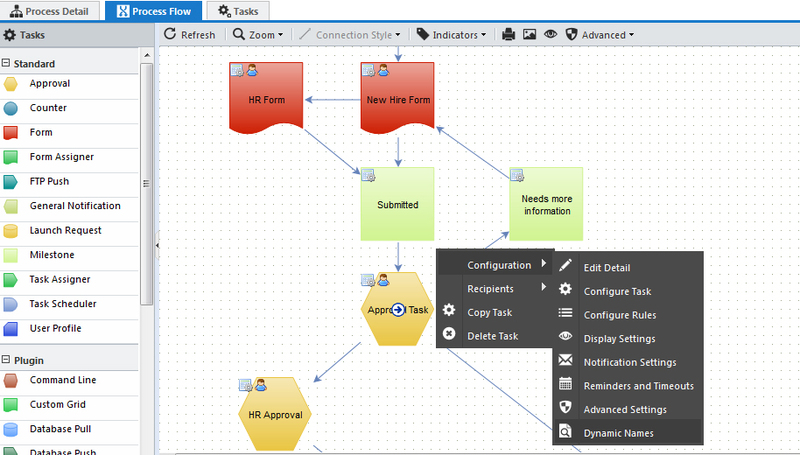 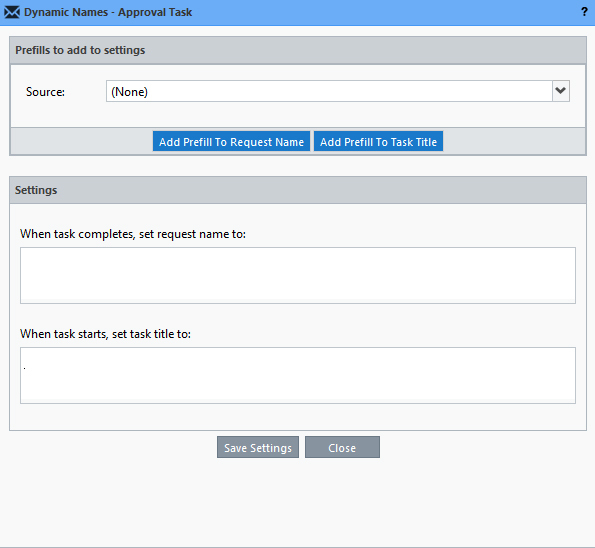 Valuable if you are looking to easily display and locate tasks and requests in lists with data from your process such as a unique type of request that was identified in a form. 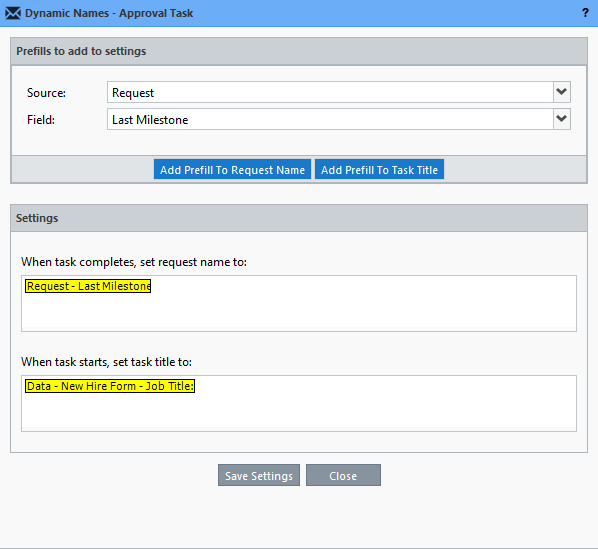 Here, we can see that the Request Name is dynamically named after the Requester's Name (Kent Garbee) when the task is completed AND the Approval Task is dynamically named 'Sales Representative' when the task was started.